Why Choose Art Plumbing, AC & Electric? 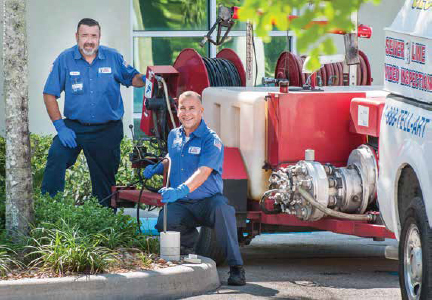 Art Plumbing, AC & Electric’s reliable and responsive Commercial Services can save you time and money by centralizing responsibility for all your facilities plumbing, drain, air conditioning, and electrical service needs with one trusted resource. Art’s fully licensed experts are certified to perform a full range of plumbing, air conditioning, electrical services, and both drywall and tile repairs. Our goal is always the same – to service, maintain, and help ensure the reliability of those systems in your facilities with exceptional customer service, and your 100% satisfaction. As a People First® Certified Company, Art Plumbing, AC & Electric’s core values separate us from other service providers. With an A+ rating from the BBB (Better Business Bureau), we’ve built a solid reputation of trust since our founding in 1983, guaranteeing top-notch work with high-quality materials at prices that will help you maintain your bottom line. Providing emergency service we can be there fast – any day of the week, including weekends! Plus, our trucks are fully stocked with materials and equipped with state-of-the-art diagnostic systems. Professional service, focused on solutions that are in the best interests of our clients from highly trained technicians, with the right equipment, tools, and materials. Consisting of skilled plumbers, electricians, and highly trained HVAC technicians, along with experienced office personnel; our Commercial Services Team is dedicated to exceptional customer service and 100% customer satisfaction! We can help with all your plumbing, drain, electrical, air conditioning, drywall and tile needs. From diagnosis, repair, or replacement, to scheduled maintenance – we can assist with any issues that your property or community association may be experiencing. Plus, the size and expertise of our team allow us to react quickly and efficiently to emergencies. Sales, Service & Installation – We’re Always There When You Need Us! Art Plumbing, AC & Electric is fully licensed and insured. 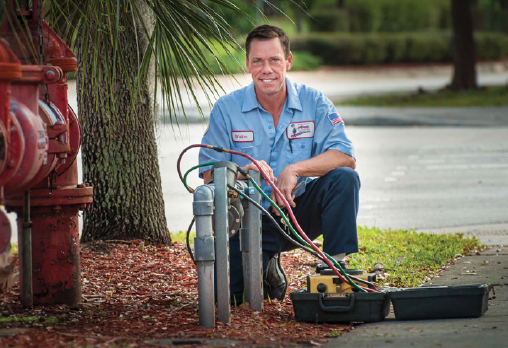 Discover why tens of thousands of South Floridians have trusted and counted on the knowledgeable experts at Art Plumbing, AC & Electric for prompt, reliable service since 1983. Contact us for maintenance, preventive maintenance or emergencies. Our technicians are on call 24/7 and ready to address any problem!